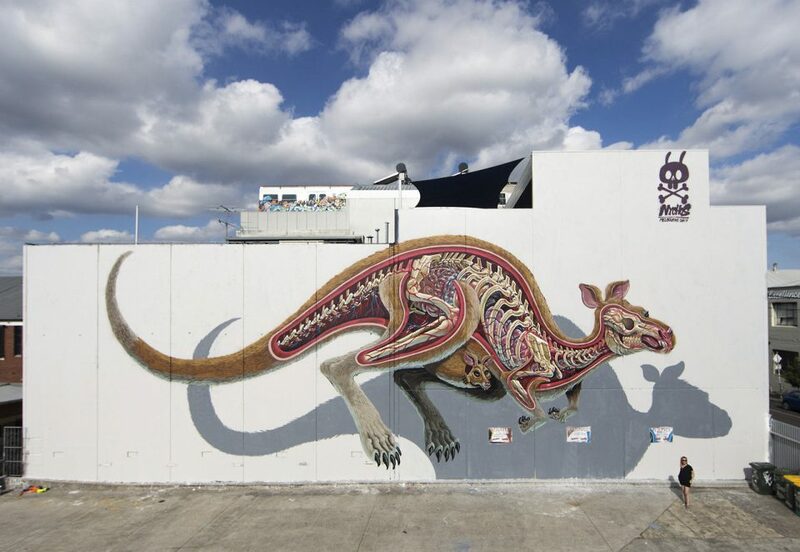 Marvelous if also a bit morbid, these highly detailed murals show the complex workings inside giant-sized animals, revealing muscle, sinew, tendons, veins and bones in various different configurations. 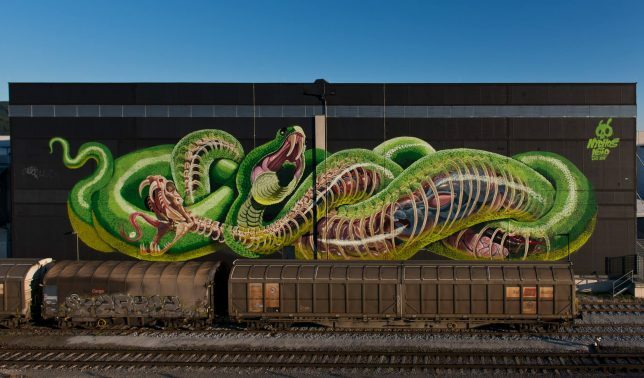 The scale of works by Nychos plays to the level of detail, and each piece is crafted differently, almost like an experiment in sequential dissections by a scientist or medical student. 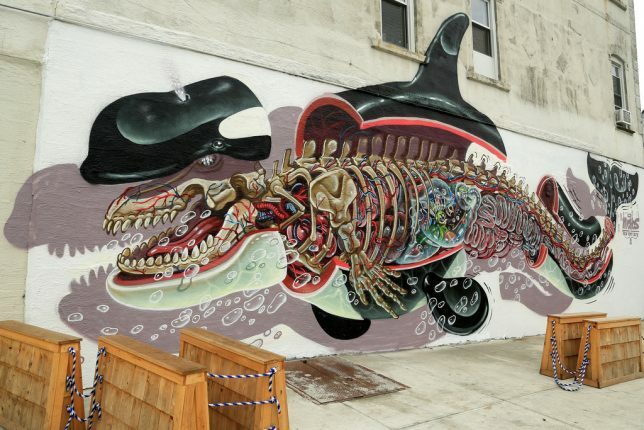 His subjects span the animal kingdom as well, from kangaroos and rats to whales and alligators (as well as humans). 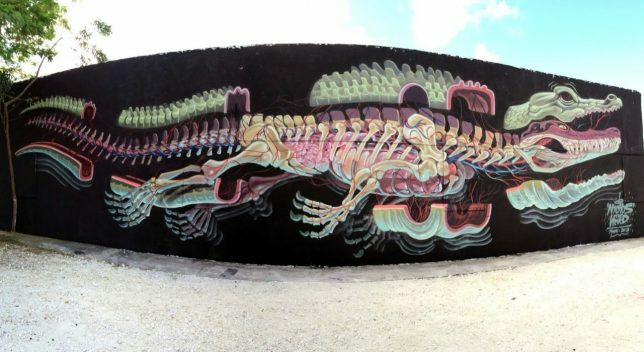 Some of the murals are sliced cleanly while others operate like layered x-rays, revealing various depths at different points along their length. 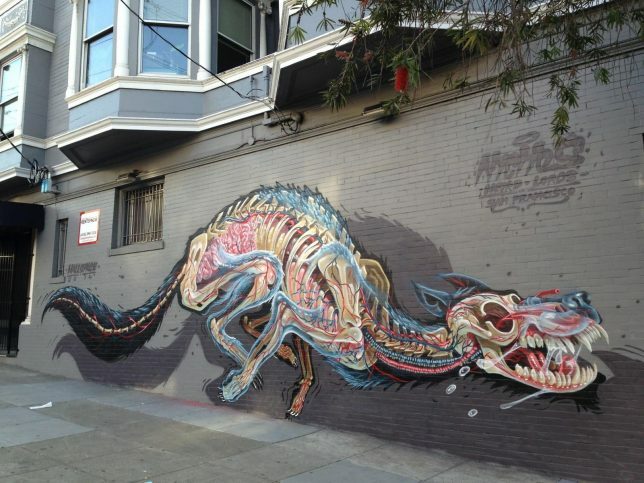 Still others feature intertwined animals at various stages of dissection or translucency, like the two snakes above, or act alike exploded axonometric drawings with pieces pulled out from the core. 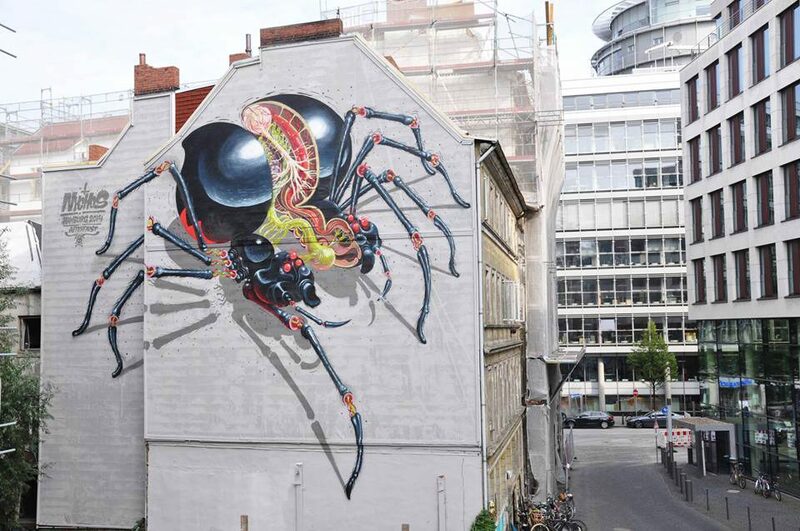 While Nychos also exhibits in galleries and makes smaller-scale prints, his large public pieces are particularly compelling (if somewhat disturbing).